LEXINGTON, KY (KTRK) -- The 15-year-old daughter of Olympic sprinter Tyson Gay has been fatally shot in Kentucky, the athlete's agent and authorities said Sunday. Sending our thoughts & prayers to @TysonLGay & his loved ones as they mourn the tragic & senseless loss of his daughter, Trinity. Trinity Gay died at the University of Kentucky Medical Center, the coroner's office for Fayette County said in a statement. The athlete's agent, Mark Wetmore, confirmed in a text message to The Associated Press that Gay's daughter had died. Lexington police said in a statement that officers went to the parking lot of a restaurant near the University of Kentucky campus in Lexington about 4 a.m. Sunday after witnesses reported gunfire had been exchanged between two vehicles. Officers located one of the vehicles and stopped two people for questioning, the statement added. The exterior of the Cook Out restaurant where Trinity Gay, the 15-year old daughter of Olympian and Lexington native Tyson Gay was shot and killed early Sunday morning, Oct. 16. Police spokeswoman Brenna Angel said police don't believe Trinity Gay was in either of the vehicles involved. 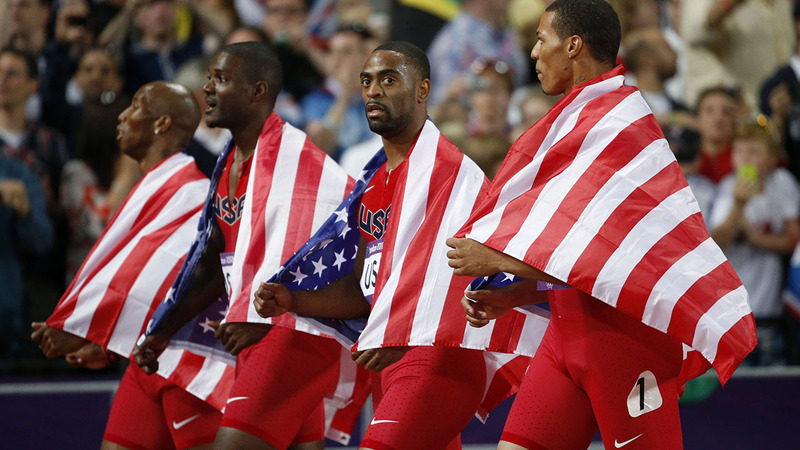 Tyson Gay has competed in the last three Summer Olympics. He was part of a team that won a silver medal in the 4x100-meter relay at the 2012 London Games though that medal was ultimately stripped after Gay tested positive for steroids in 2013. Trinity Gay was a sprinter at Lafayette High in Lexington and finished fourth in the 100 meters and fifth in the 200 meters at the state Class 3A high school track meet in May, records show. She also ran on a 4x200 relay team that finished fourth. Her father also ran at Lafayette and still holds the state record in the 100 set in 2001. The police statement didn't identify Trinity Gay by name, saying a juvenile who was struck at the scene was taken by private vehicle to the UK Hospital and later pronounced dead. Police were still searching for the second vehicle, police said, adding they are continuing to investigate. A tweet from Kentucky High School Athletic Association Commissioner Julian Tackett said he was stunned by the death: "Shocked to hear of death of Trinity Gay. A life of such potential cut so tragically short. Sympathies to Tyson and entire family." USA Track and Field also tweeted, "Sending our thoughts & prayers to TysonLGay & his loved ones as they mourn the tragic & senseless loss of his daughter, Trinity."